Denver home and business owners, is your current air conditioning system broken beyond repair or more than 10-15 years old? If you answered “yes” to either question, then you need to pick up the phone and call our Denver AC replacement professionals a call straight away. We’ve years of experience and training in the field and our technicians are always standing by to give you a hand. Here at Brothers Plumbing Heating and Electric, we are the go-to Denver AC replacement and repair company. To learn more about our company’s reliable services, just click HERE. For fast, reliable and affordable Denver AC replacement services, just pick up the phone and give our team of professional cooling technicians a call today. If you have a broken or old air conditioner, then all you have to do is give us a call at (303) 468-2294 at your next convenience. Once you’ve called us, we’ll set up an appointment to give you an estimate on how much this AC replacement in Denver is going to cost you. After we have both agreed on a fair price, our techs will start work on your air conditioning replacement in Denver right away. Don’t hesitate. Call us today for quality AC replacement services. When it comes to fast, reliable and professional Denver air conditioning replacement and maintenance, we’re the company to call. We have years of experience and knowledge when it comes to air conditioners, and with our skilled and experienced techs, you can rest easily knowing that you are always in good hands. When you call us for air conditioning replacement in Denver, you know your satisfaction is guaranteed. Call us today. All in all, when it comes to AC replacement in Denver, it behooves you to act quickly. Living without air conditioning, especially during these hot summer months, can be a real pain and our company would like to help alleviate some of that pain. Give us a call if you suspect that you may need any kind of work regarding air conditioning replacement in Denver today. To learn more about the energy efficiency of modern AC equipment, click HERE. Our team of professional technicians is always just a phone call away. 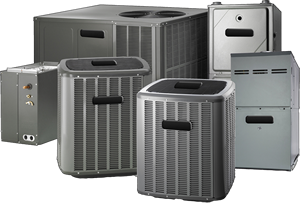 Get in touch with our Denver AC replacement experts today!